Take some steps today to prevent fence damage this summer. 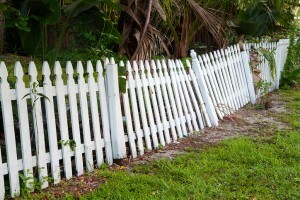 Unfortunately, especially during the summer months, fence damage is very common. Whether it’s a sudden thunderstorm that knocks a tree branch onto your wood fence or a neighborhood bike ride that ends with a dent to your chain link fence, fence damage can add up quickly. Here are some of the best ways that you can prevent fence damage to your Northern Virginia fence and repair it if it occurs. Corrosion can occur on wood fences in the form of mildew, mold or wood rot. It’s also common on metal fences when they begin to rust. To prevent corrosion from taking a toll on your fence, make sure that you choose a fencing material appropriate for the average rainfall and humidity of your area. Use a water-resistant stain or paint to seal out moisture. 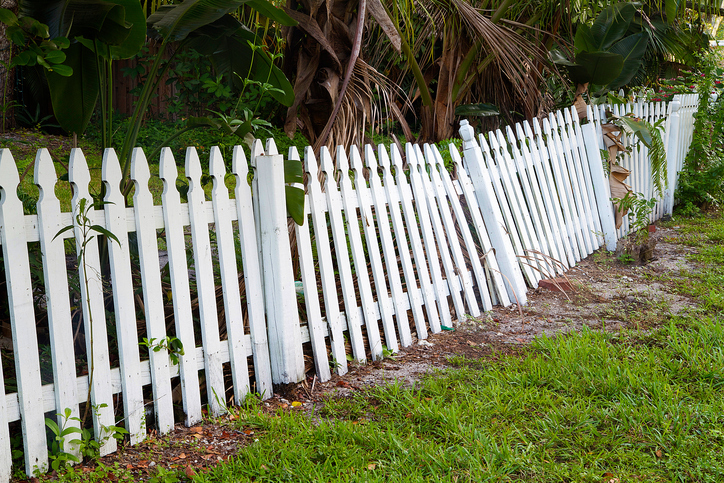 Regularly wipe your wood fence so that moisture doesn’t linger on the surface after a rainstorm. Wood fences are known for developing missing portions and holes as a result of a storm, impact, or other traumatic events. You should always call the professionals at Hercules Fence when major missing portions of your fence need to be repaired to ensure that the job is done right. Sagging gates are very common in just about every type of fencing over time. Sometimes, the sagging can render a gate ineffective or a chore to operate. Other times, a sagging gate can lead to major issues—like your dog slipping through the gap! To prevent a sagging gate, make sure that your fence posts are in good condition. Have a professional inspect your fence and fix the posts and re-hang the gate, if necessary. This entry was posted on Friday, June 2nd, 2017 at 6:40 pm. Both comments and pings are currently closed.